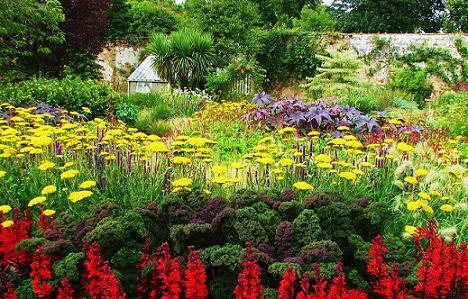 Cambo has a lovely walled garden with all year interest at Cambo Gardens. 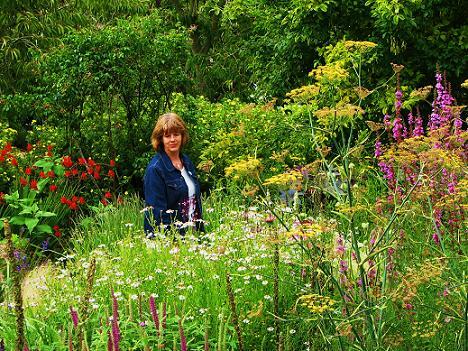 One of our favourite British Gardens and a must visit. 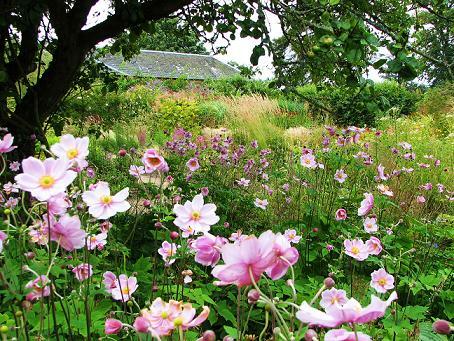 Cambo Gardens near St Andrews is one of our favourite gardens in the British Isles. We have visited it several times and have never been disappointed. The first time we visited in August there were thousands of painted lady butterflies, one of the most amazing wildlife highlights of our life. 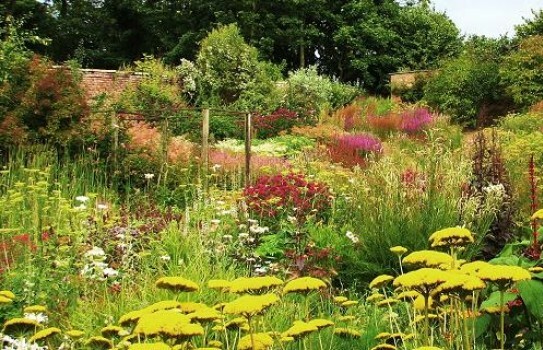 The walled garden has a fast flowing stream flowing through it, the planting is informal but with masses of colour, partly priairie style which comes into its own in August. Spring - Snowdrops in the wood with a collection of over 300 varieties. - Scented winter flowering shrubs and spring bulbs. Summer - In May the Lilac walk of 26 different varieties gives an unforgettable experience. Hardy geraniums, rare and unusual plants, roses scrambling up the walls and pergolas. 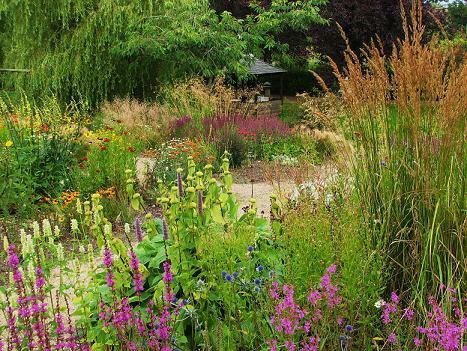 Large herbaceous borders contain contemporary plantings of rare unusual perennials. Late Winter -70 acres of woodland, carpeted with snowdrops, snowflakes and aconites follow the Cambo burn to the sea, from around 1 February. We recommend you take a break as there are other lovely properties in the area, we have a great selection of hotels in the area, see link box below. 2019 - open all year . see website for more details. Disabled Access. Bed & Breakfast accommodation available. Gift shop and Tea room open daily. Season Tickets Available. If you want tofind places to stay near Cambo Garden, near St Andrews, why not stay in one of our recommended hotels. Each hotel has genuine guest reviews enabling you to book from anywhere in the world in total confidence. . Look now for hotels near Cambo Gardens - click here.